Mahjong is a unique yet interesting type of game that started in China. All it consists is four players, fascinating Chinese tiles, scoring and monetary value for the points yielded by individual players. There are different types of Mahjong games introduced by game developers. These variations in games include their specified scoring. Some of the popular scoring methods are Hong Kong Mahjong Scoring, Chinese Mahjong Official Scoring, Riichi Competition Scoring, and American Mahjong Scoring. In January of 1998, the State Sports Commission of China officially recognized Mahjong and designating it as the 255th sport. The Official International Rules for this newest sport were defined in September of the same year. The number of hands designated in these rules is 81. Each hand, depending upon its difficulty, has scores from 1 to 88 points. The points for each hand are added together in a simple sum. 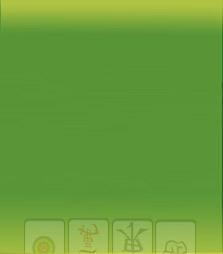 In the Chinese Official version, minimum of 8 points are needed to declare mahjong. For example, one adds 6 points from all pungs to 2 Points for a Dragon Pung to get at least an 8 points hand. Please note that the flower tiles are counted apart from the 8 point minimum. Points for flowers are simply added to the final score after declaring mahjong. Dealer does not receive additional payment when winning, nor repeat his or her seat. No Dead Tiles will be designated. The play continues until the last tile has been used. Two runs of the same suit and same numerical sequence. Two runs, one in each of two suits, of the same numerical sequence. * The other Short Straight( 3,4,5-characters 6,7,8-characters ) is not counted because this chow has already been used. Runs of 1-2-3 and 7-8-9 in the same suit. * Another Two Terminal Chows ( 1,2,3-characters 7,8,9-characters ) are not counted because these chows have already been used. Each Pung of 1. 9. or Honor tiles scores 1 point. A hand that lacks tiles from one of the three suits (either Characters, Dots, or bamboos). A hand formed entirely of suit tiles. Waiting for a 3 or 7 when holding 1-2 or 8-9, respectively. This hand is invalid when the edge wait is combined with any other waits. Combinations which do not add to the variety of tiles are acceptable (such as 1-2-3-3, which is a combination of an edge wait and a single wait, but only a 3 tile completes the hand). Going out on a closed wait (for example, holding 2-4 and waiting on 3). This hand is invalid when the closed wait is combined with other waits (for example, the combination wait 2-4-4-4 counts for neither Single Wait nor Closed Wait). Combinations which do not add to the variety of tiles are acceptable (such as 1-2-2-3-4, which is a combination of a closed wail and an edge wait, but only a 3 tile completes the hand). Going out on a single wait (finishing a head). This hand is invalid if the wait is any type of combination wait (as in 1-2-3-4 waiting on the 1 and 4). Combinations which do not add to the variety of tiles being waited on are acceptable (such as 4-5-5-6. which is a combination of a single wait and a closed wait, but only a 5 tile completes the hand). Going out with a tile drawn from the wall. Each flower tile is worth 1 point. When a flower tile is drawn, set it to the side and draw a replacement tile. If the player goes out off this replacement tile, then Self-drawn (1 point) is added to the hand.